FALLS CHURCH, Va. – Sept 1, 2015 – Recognizing the critical need for experienced cyber professionals requires year-round attention, Northrop Grumman Corporation (NYSE:NOC) supported numerous activities this summer aimed at exciting and motivating youth to pursue a career in cybersecurity. Activities ranged from sold-out cyber camps and on-the-job training for high school and college interns to the launch of the Elementary School Education Initiative – a component of the CyberPatriot National Youth Cyber Education program , created by the Air Force Association and presented by the Northrop Grumman Foundation . 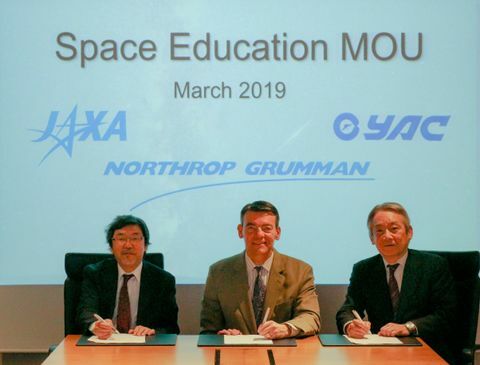 Additionally, Northrop Grumman again hired student interns in the United Kingdom where the company provides important cyber business work for the UK Government. "Cybersecurity is not just a fall sport," said Diane Miller, director, CyberPatriot programs and director, InfoSec operations and cyber initiatives, Northrop Grumman. "Given the critical need for qualified cyber talent, we're keeping the momentum going globally through fun, hands-on learning opportunities that will get youth excited about a career in this dynamic field." Northrop Grumman partnered with local universities, high schools, and established youth camps nationwide to conduct week-long cyber STEM camps from June -August in Aurora and Colorado Springs, Colorado, Chantilly, Virginia and West Virginia. Camps in Colorado also featured learning opportunities in clean energy technologies, biomedical engineering, rocketry and robotics. 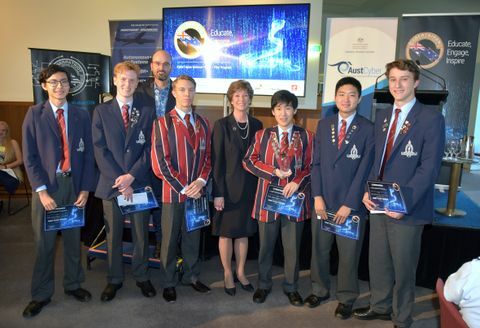 Camp curriculums were based on the CyberPatriot Program and were conducted in a workshop fashion culminating in a cybersecurity grand challenge, which pitted teams against each other to identify vulnerabilities and protect networks from attack. These camps were complemented by the CyberPatriot summer camp program initiative, which hosted 20 camps nationwide this summer. Offering real-world experience for CyberPatriots was on tap at Northrop Grumman, who hired more than 40 cyber interns to work with professionals to defend networks and learn the global security implications of their work. Many students even supported the summer camps to share their experiences. "This experience not only advances technical know-how, but also promotes ethics, leadership, teamwork, and communications skills that are foundational to success. Between the Northrop Grumman initiatives and our lead role on CyberPatriot, we made an impact on hundreds of students this summer," said Miller. One of the most critical programs launched this summer was the CyberPatriot Elementary School Education Initiative . This initiative includes several interactive modules designed to excite K-6 students about computers and teach them basic practices for staying safe online. In addition to CyberPatriot, Northrop Grumman is also sponsoring the U.K. version of the competition known as the CyberCenturion Competition . Registration is underway for both events through the fall.